Now that the federal election has been called for May 18, the veterans of Macarthur – there’s almost 1,500 of them – will want an answer to the question: will the Department of Veterans’ Affairs be dismantled by either side of politics. The Productivity Commission’s interim report on Compensation and Rehabilitation for Veterans was released at the end of last year with a number of recommendations, including one which has worried veterans in the Macarthur community and across the nation. This recommendation is to dismantle the Department of Veterans’ Affairs. Local veterans have been assured by the federal member for Macarthur, Dr Mike Freelander, that Labor does not support abolishing the department as a stand-alone entity. 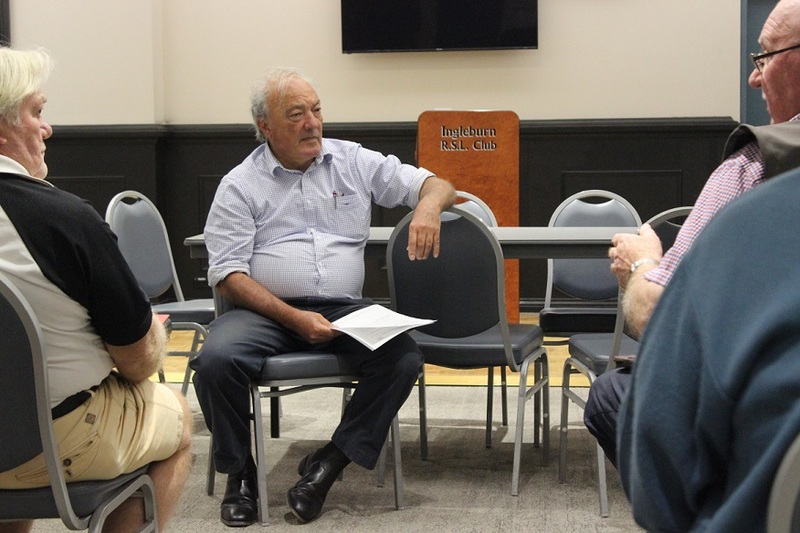 Dr Freelander yesterday met with a number of veterans in the Macarthur community at Ingleburn RSL, to discuss their concerns over Veterans Affairs being dismantled as a standalone department. He said veterans told him they were concerned the Prime Minister had so far refused to rule out his government would be accepting this recommendation of the Productivity Commission. Dr Mike Freelander discussing the future of the Department of Veterans Affairs with local veterans. “Without this guarantee, how can veterans be certain that Veterans Affairs will continue under a Coalition Government,’’ Dr Freelander said. “Veterans Affairs exists, in part, as an acknowledgement of the sacrifice current and former serving ADF personnel have made. “To dismantle it would be nothing short of an insult to the men, women and their families who have sacrificed so much to serve our country,’’ Dr Freelander said. “Labor has been clear from the start; our veterans deserve their own support, service and department to acknowledge their commitment to, and the sacrifice made for our country.